Posted in: Games, Opinion, Tera. Two things have happened in the last few days over at Enmasse, publisher of Tera in North America. Enmasse just laid off a bunch of developers. And they just started a new Rewards Program to encourage more participation among their player base. First lets look at that Layoff Announcement. They say they have laid off Developers. What is Enmasse publishing right now? And BattlePlans is in Beta. I wonder who they laid off? Presumably they do some development of Tera to bring it to the English speaking market, although I’m not sure about that. So will our update be delayed to get Ninja [new Elin class] and Pegasus mounts [yep. So we can fly], which is out in KTera and is supposed to show up here in May? ZMR is a is about as old as Tera and I’m not clear whether it’s rocking over there or whether it’s stale and folks are moving on. It was an Early FPS / Moba sort of game, and if they have kept up, then they might be trying to ride the current MOBA wave of interest. I just don’t know. Looks like Enmasse is trying to go Mobile to me. Battle Plans is not really out yet. Looks like a mobile RTS game. Wonder how similar it is to Game of War? You know, the game that has Kate Upton as a model? But of course, the Game of War looks nothing like this. It actually looks a lot more like Battle Plans. Oh well. And just being “Rewarded for playing” is not going to do it in your lifetime. If you just play all the time. So the rewards system is not rewards for playing. It is really rewards for paying. The only way to get rewards in a reasonable time is to buy EMP and Spend it. 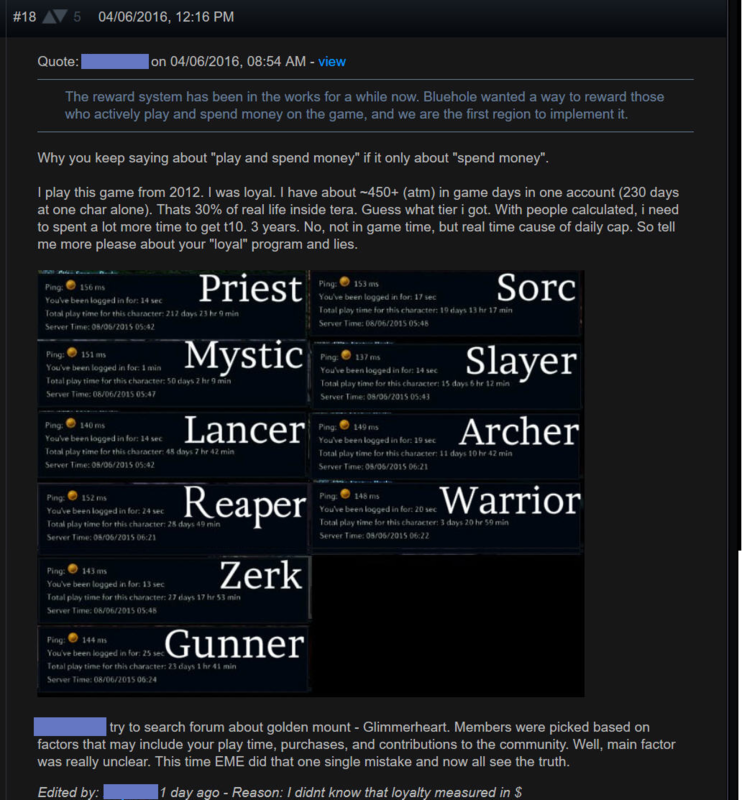 Buying EMP gets you nothing. You need to spend it. So, is this a misprint or are they really saying that you can reach Tier 10 by spending $15000 on the game? Fifteen thousand dollars? At the rate of $15 / month for the Elite membership, with 1500 points per month, that’s 1000 months or 1000/12 or 83 1/3 years. I know that folks ought to set challenging goals, but seriously. I have looked through the forums and found some folks that show pictures of their having made it to Tier 10. But I didn’t analyze whether that was true or photoshopped. So, this all looks like a desperate move to encourage folks to pay. Basically playing gets you nothing. And I would guess that in order to fund their Mobile games, where they think they are going to make a ton of money, they want to do that funding on the backs of the Tera players. All this looks like the beginning of the end of Enmasse and Tera to me.